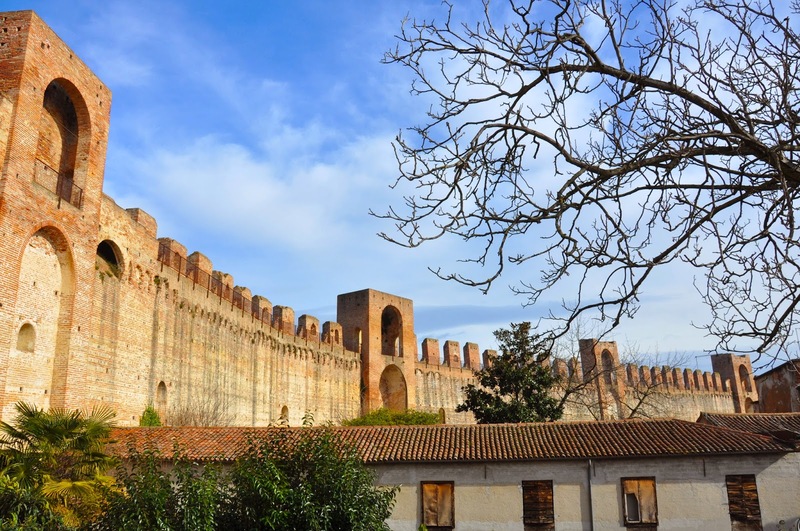 One of the best things about living in Italy is that there are always history-book-perfect places to discover only a short drive away. After a somewhat uneventful January with cold spells and a couple of week-ends spent holed up at home as our toddler was fending off a rather tenacious cough, we couldn’t wait to pile up in our little red car on the first day of February and drive off. 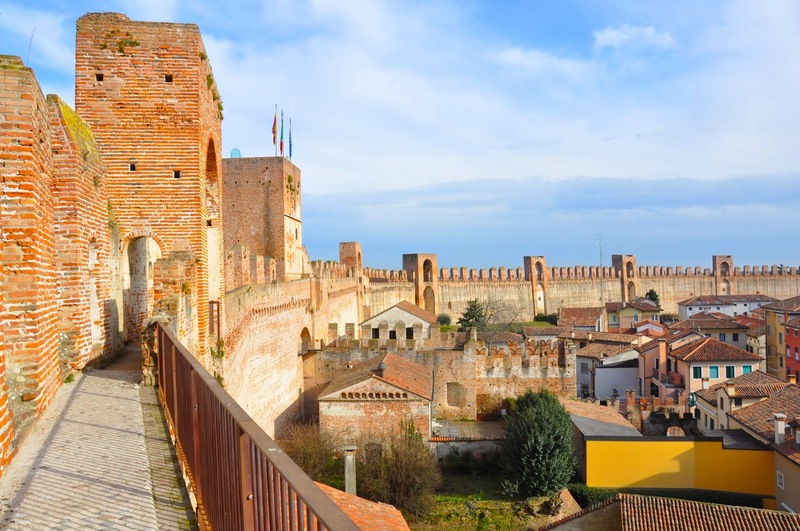 Twenty minutes later we were pulling in the shadows of the awe-inspiring medieval wall which holds in its elliptical embrace the town of Cittadella. Rising up to thirty meters at its highest points, the wall is a sight to behold. 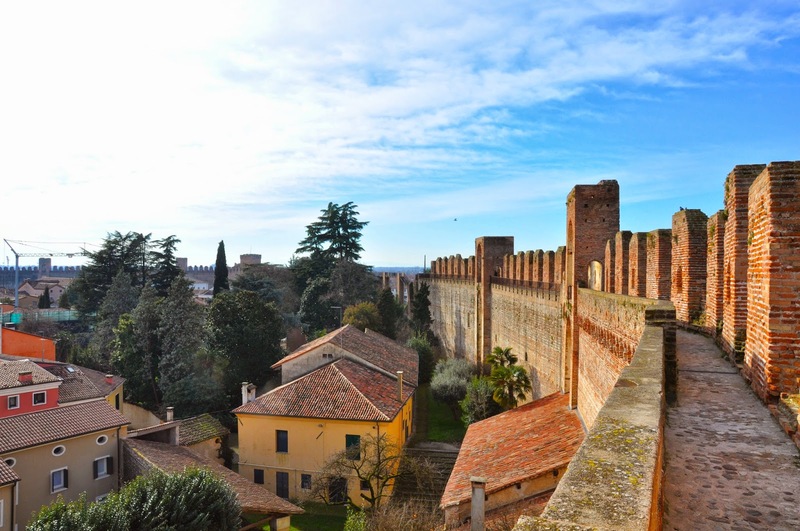 Its construction began in the 13th century to provide security and defence in the flat as a pancake plain of the Northern Italian region of Veneto. The wall still stands today and, bar a small portion which, we were told, was blown off by a canon, it is incredibly well preserved. 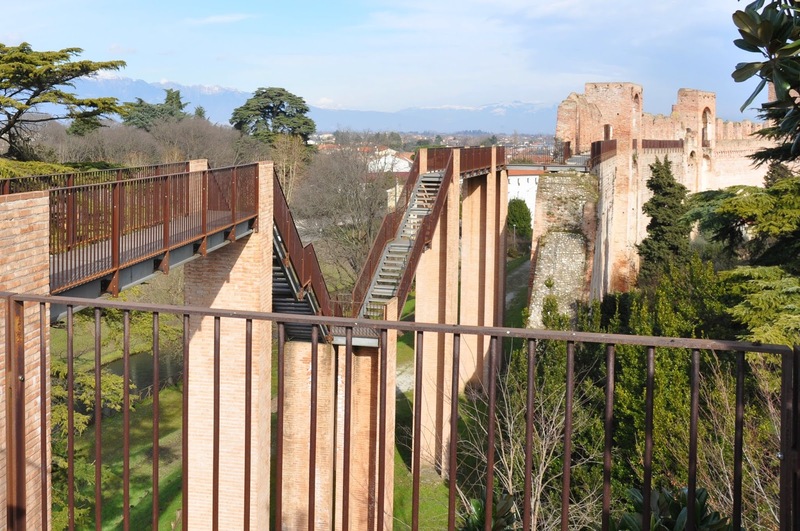 Amazingly, you can even walk its whole length on what is Europe’s best medieval parapet walkway. In simple words – you can climb to a narrow path 14 meters up the wall and then follow its curve back to your starting point. We – toddler, husband and I – were up on the wall. The sun was shining and the views were mesmerising. On the horizon steep blue mountains with crisp snow-caps were reaching for the sky. 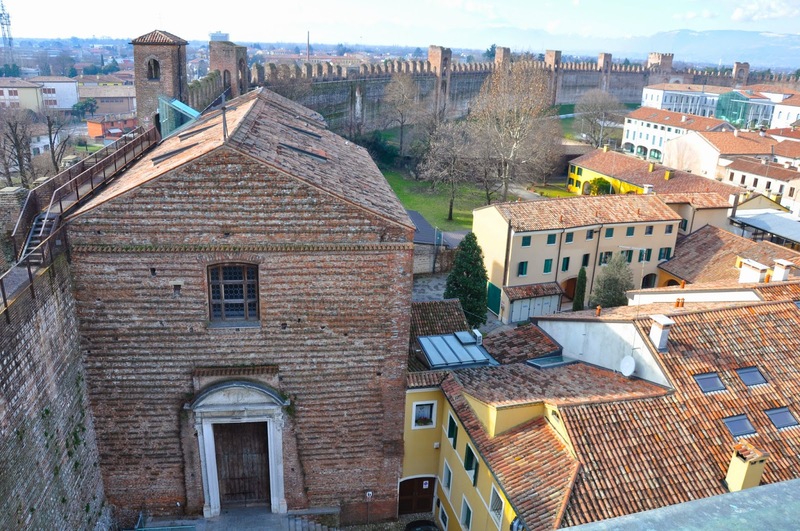 Inside the ellipse of the wall laid Cittadella with its picturesque rooftops above which the town’s cathedral stood up. The path on the wall was not difficult to navigate. Clutching tight onto our toddler’s lead we walked by the tall ramparts and keeps, admiring the views and chatting the morning away. And just then, all happy and relaxed, we came to the spot where said cannon had left a gaping hole in the wall. In other words several meters of masonry were missing from bottom to top. 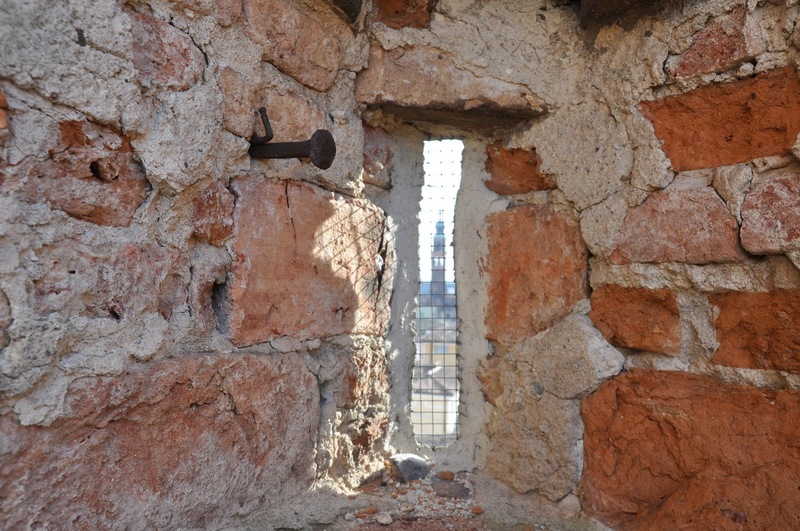 Instead, a steep V-shaped staircase supported by mighty pillars had been put in place to take the visitor over the gap so that he could continue his walk on the wall. Not because it wasn’t safe. In that respect it was perfectly good. Also, we had been assured at the Tourist Office (where we had bought the tickets for the wall) that it was absolutely fine to walk the wall with a toddler in hand. So, it was safe, but still it was so high that I felt vulnerable and exposed whilst I was crossing over to the other side. Very slowly and keeping a really tight hold on my child, I made my way. Now, while I am catching my breath, have a look at the image below and admire the masonry skills that made it possible for us to walk on a wall built over seven centuries ago. In fact, seven different techniques were employed in the construction of the wall which is about two meters wide and 1.5 km long. 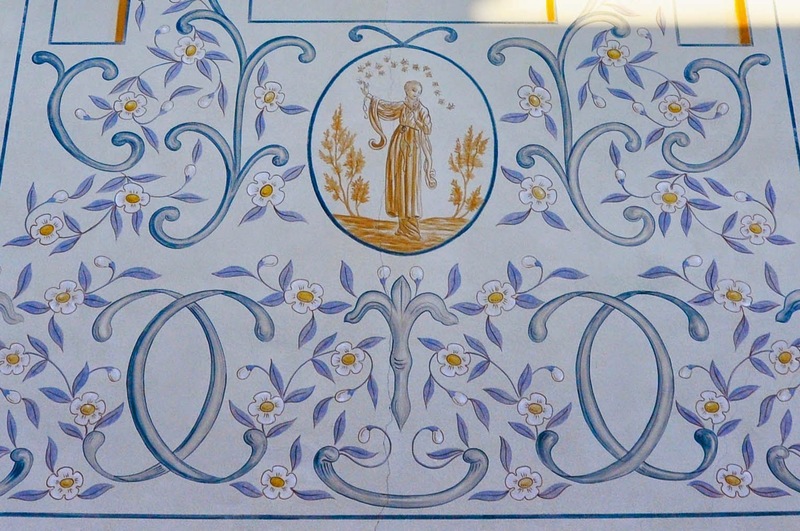 Bravo, medieval masons! We walked a bit more and came across the little church of Santa Maria del Torresino which was sort of attached to the wall. Here it is. We navigated the walkway running alongside the church’s roof. It was a bit scary, but not as much as the one before. Then, through a door which was so low that we had to bend, we walked into the museum housed in the wall’s keep known as the Tower of Malta. 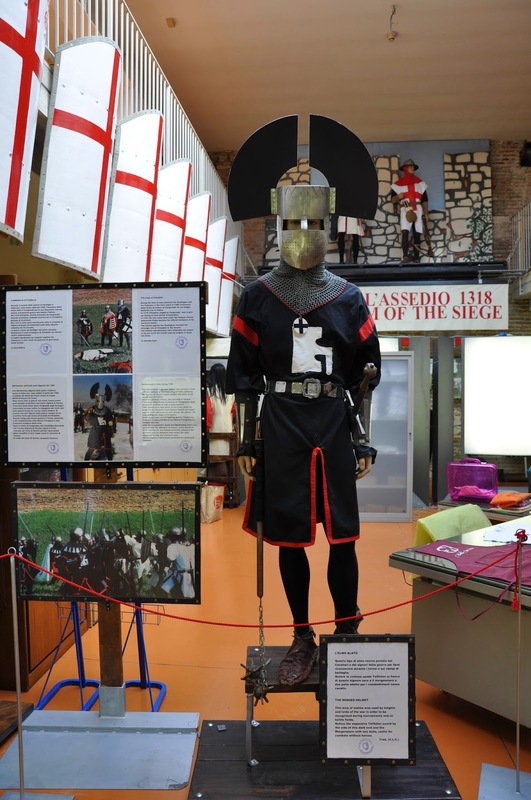 The museum has an archaeological collection and it also offers glimpses of life in medieval Cittadella. I particularly liked the winged helmet on this knight. Apparently such helmets were used by lords of war to be recognised during tournaments and on the battlefield. Please, also note his rather fetching shoes! It was also interesting to read that the knights Hospitaller reintroduced the slave trade to Europe, selling their prisoners of war to finance their order. Hmmm… I was quite surprised, as so far I had only known that the order had been set up to take care of the sick and the infirm in the hospitals of Medieval Europe (hence, their name!). After a quick look around the Museum we continued our walk on the wall. We noticed that portions of the wall seemed to be leaning backwards so that the walkway appeared to be jutting up. Apparently, the wall doesn’t have foundations! Instead, it is propped by huge embankments piled up high on the outside and the inside part of the wall. At some point, the locals started to remove the soil from the embankments which threatened the integrity of the wall. This is why some parts of it appear to be a bit askew, but don’t worry, a recent restoration has made it secure to traverse the whole length of the wall. 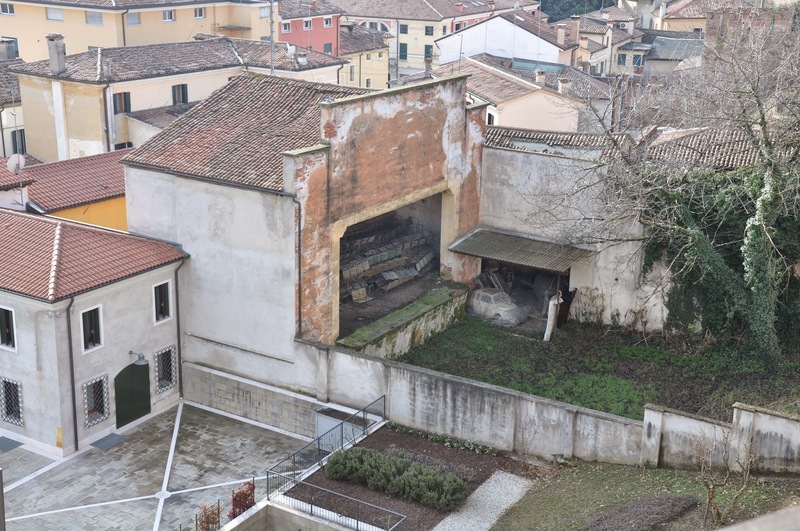 Just before completing our circuit, we spotted on the ground down below an abandoned building which seemed to have been used as a theatre before. It housed a pile of chairs plus a tiny car and a boat wrapped in plastic sheets. Quite random, don’t you think? My husband was just telling me that the abandoned building reminded him of a famous scene in the ‘Silence of the Lambs’ when we completed our walk on the wall. We were facing a huge, thirty meters high keep. It turned out that to leave, first we had to climb the steps up to the top of the keep and then from there climb down several flights of narrow and rather steep stairs made of wood. Again I was clutching my child for dear life! I was so relieved when we finally reached the ground. It was time to explore the town which we had just seen from above. 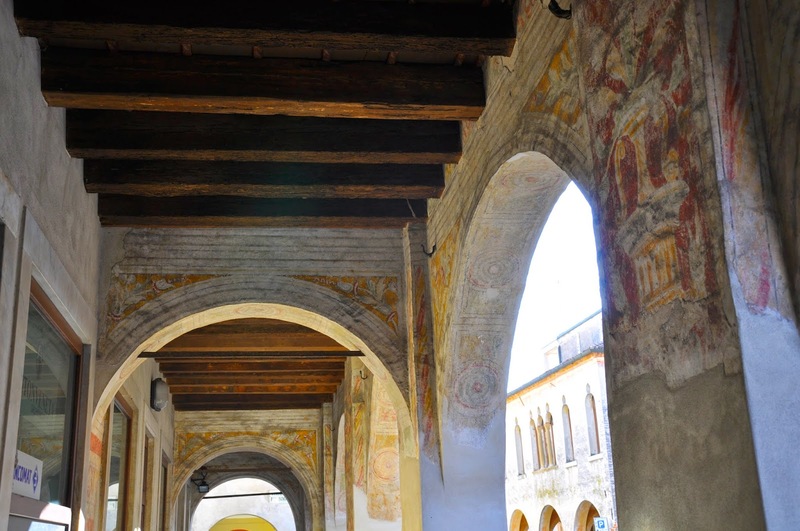 Cittadella was certainly attractive with its painted buildings and archways. It all seemed very quiet, but then right in front of us appeared a large group of people chanting slogans and waving flags. We were told that this was a rally for independence. 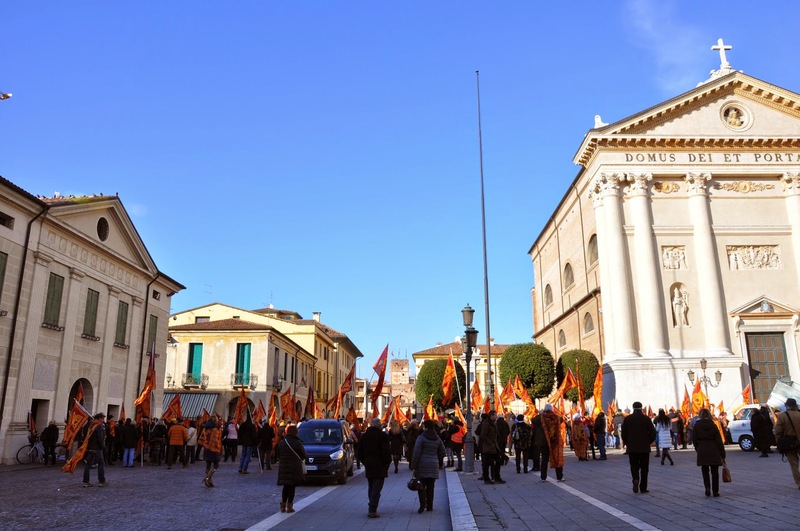 In the words of the people taking part, the Italian state is an occupier of their land and they would like to see Veneto restored to its former glory as an independent republic. 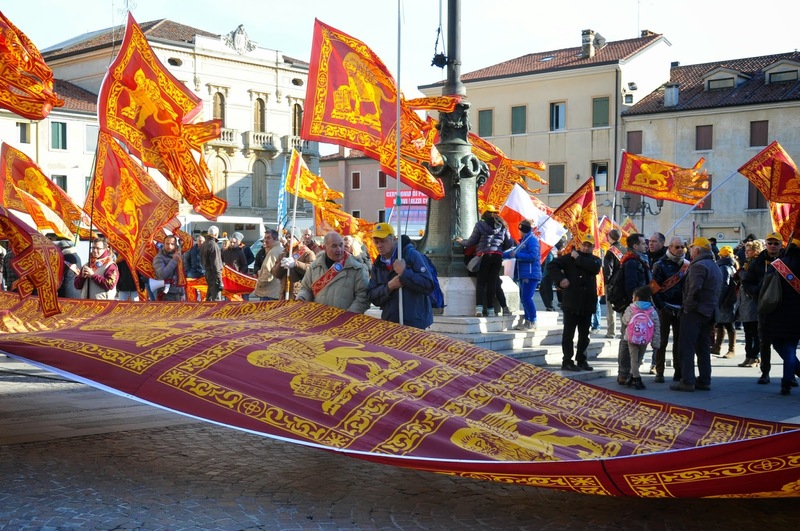 We were even given a flag as a gift whilst it was explained to us that the lands from Bergamo to Venice and from Rovigo to Belluno should be free from Italy. There is a referendum coming from the 15th to the 20th March this year, so it would be interesting to see what is going to happen. 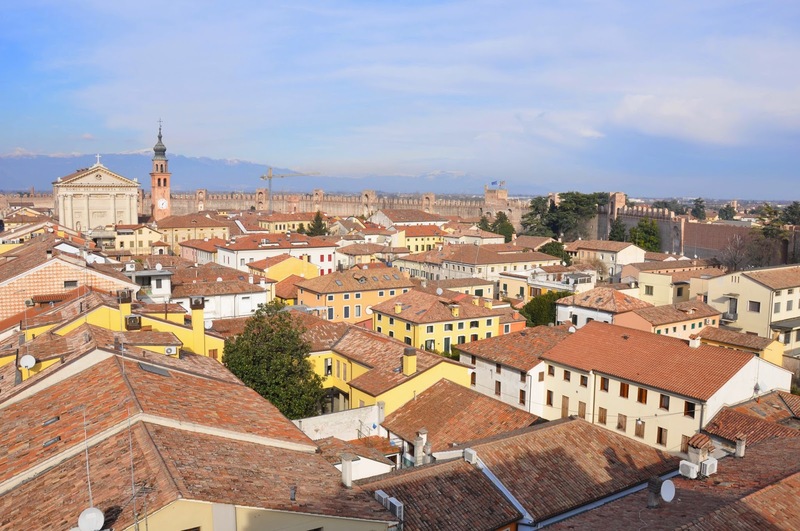 After that we browsed the streets of the Cittadella a bit more. 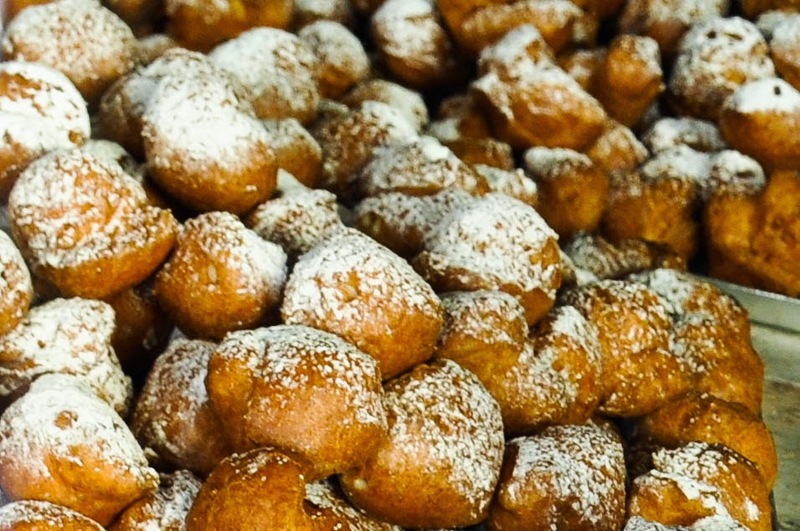 We came across a lovely bakery selling the Venetian delicacy – frittella (pl. fritelle). These are balls of fried dough with different fillings like custard, jam or pastry cream and topped with powdered sugar. They are really tasty and I like them a lot. 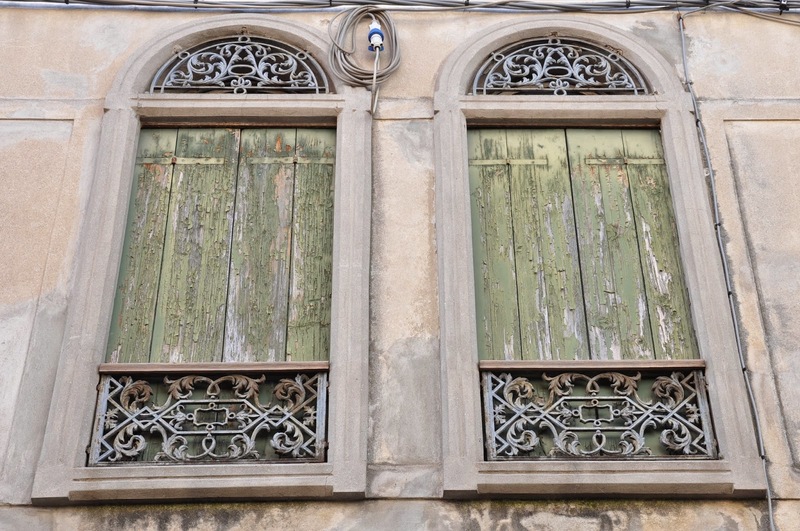 Unfortunately, the bakery was closed for the compulsory three-hour long lunch break. Bad luck! 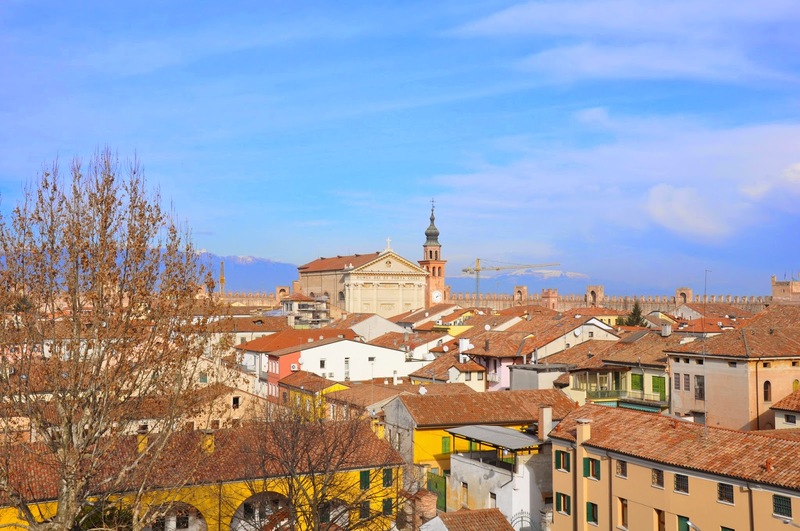 With nothing much else to do, we piled back in our little red car and drove back to Vicenza looking forward to more exciting days out this month. Shopping at the Weekend. Yay!